Even as climate alarmists lie to the public about Polar Bears, Arctic sea ice extent is growing very rapidly and closing in fast on the 1981-2010 mean. The volume of sea ice is up 15% from ten years ago. The summer minimum extent is up from ten years ago. 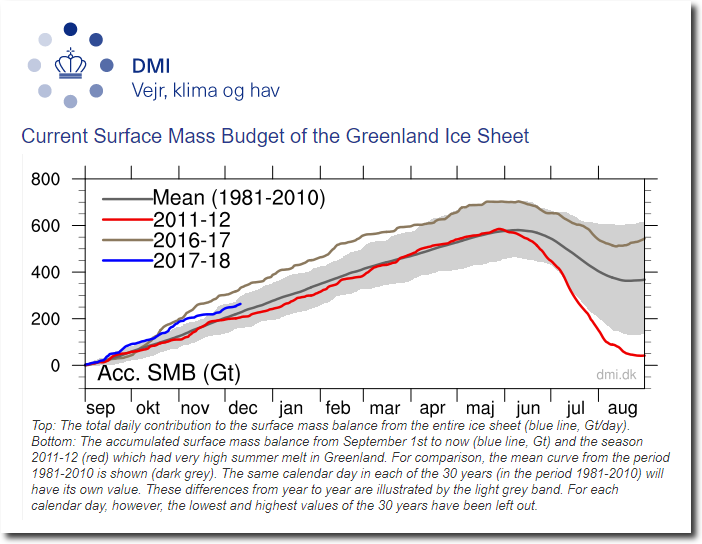 Greenland’s surface has been gaining ice at near record rates for the last two years. Meanwhile, desperate climate alarmists ramp up their lies at record rates, hoping to fool the public and continue extorting money from governments. Inconvenient data must be ‘adjusted’ or hidden. Climate models can’t be shown to be wrong. Also the lakes were slightly above normal warm and so even with the current deep freeze the freeze up will be slowed down. My guess would be warmer lakes + colder air temps = an approximately average rate of freezing over for the great lakes. We shall see. Wind also plays a role in freezing. While you may be right, (and by the way I hope you are), looking at the interactive graph you’ve linked to, it looks like sea ice extent at December 13 2017 was actually the lowest for that day in recent decades, apart from last year. 2007 and 2010 were about the same. 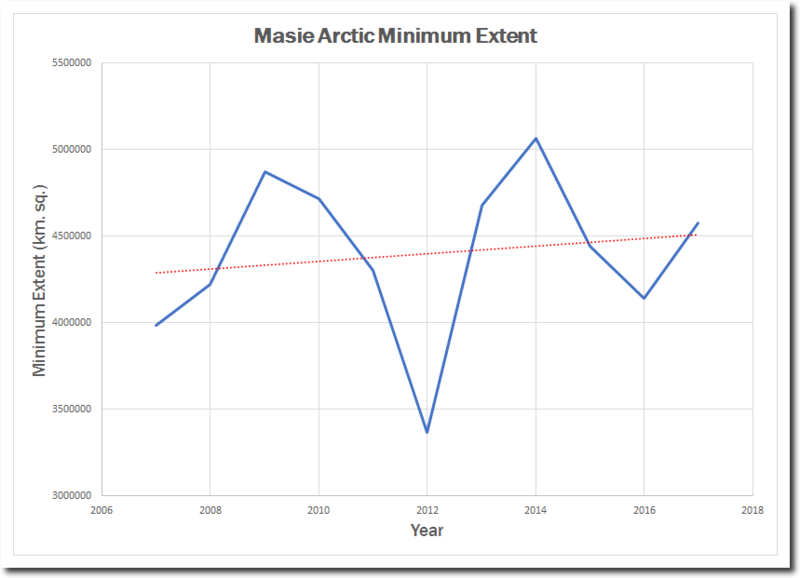 While it’s reassuring that the previous trend (in annual averages) hasn’t continued over the last decade, and we’ve seen a modest increase in minimums, it still looks quite premature to assert that the alarmist narrative on arctic ice has been trashed. But of course fingers crossed. 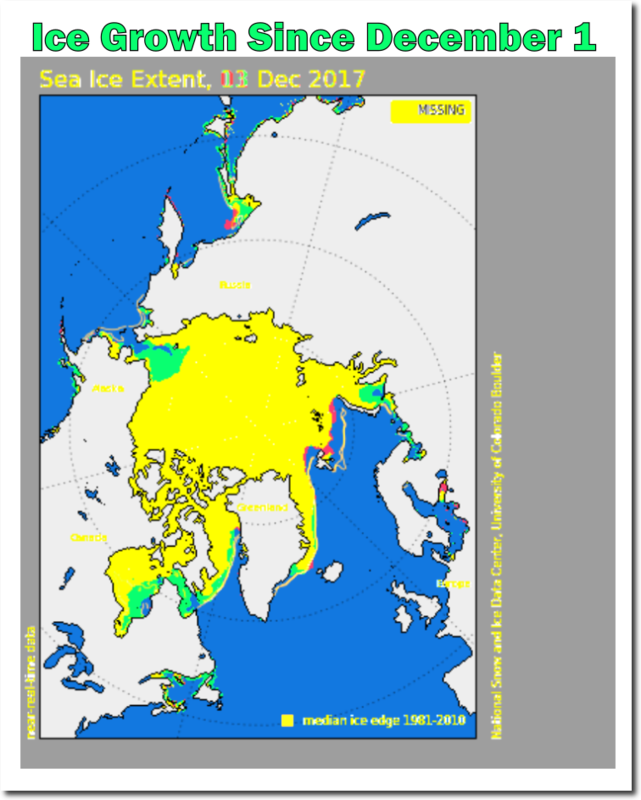 The alarmist narrative on the Arctic ice was trashed years ago. The minimum never has gotten to the “virtually ice free” state predicted in the past or near term and nobody gives a squat about their predictions for 2050 or later. I’m not going to agree that is a good thing though. 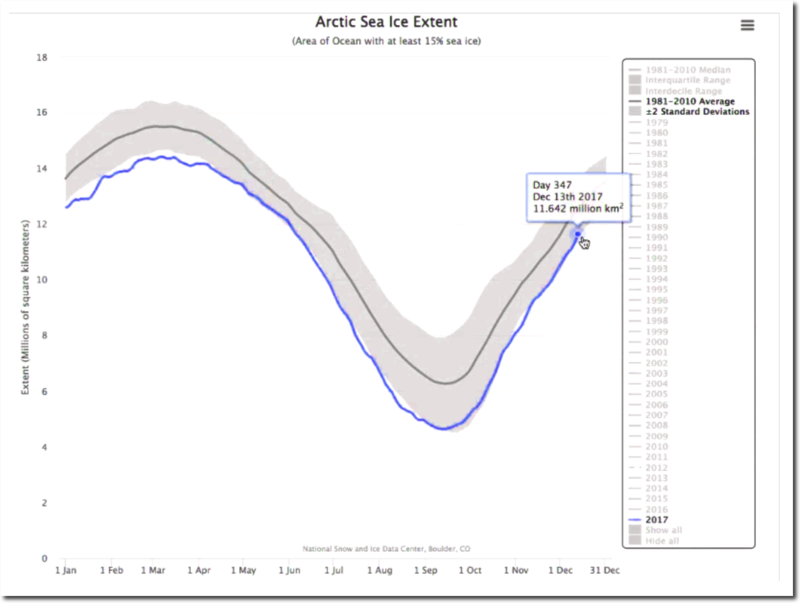 I would have liked to have seen that sea ice decline more. In fact, it wouldn’t bother me a bit if the sea ice in the Arctic did “virtually disappear” during the summer months. That would be one hell of a lot better than seeing it advance to engulf Iceland in the winter as it did during the LIA. But that apparently isn’t going to happen during our life times so one has to look on the bright side and enjoy the fact that the UN IPCC and the plethora of cockroaches supporting it’s doomsday narrative are going to be exposed for what they are eventually and have to hide in the woodwork for a time before they start promoting their next scam. MASIE has Dec 14 2017 (my last update) above 2006, 2007, 2009, 2010, and 2016. According to scientists mankind is always just 5 minutes away from the next apocalypse. And they use this trick for 30 years now-and get away with it thx to the useful idiots. On Dec, 9, my son-in-law drove me from Inuvik up the new road just opened on Nov 15 to Tuktoyaktuk. I walked out on to the Arctic Ocean and jumped on it. It was solid as a rock. Now I’ve been from coast to coast to coast in Canada. It was snowing and blowing at -16 C with reasonable visibility. It was my first time above the Arctic Circle and above the tree line. There were no hungry polar bears looking to make me their main course. Here’s one of those bologna videos I have bookmarked showing ice would be gone by 2013, a time that has come and gone. Just wait till I get my video up, giving you a 360 sweep from where I was astanding on the ocean. It was -3F this morning where I live in New Hampshire. The eastern skiers are loving this early season snow, which will be a boon to the local economy over the holidays! This is a short video from the grand opening of the road to Tuk. Note that the sun is still visible. When I was there on Dec. 9, there was no sunrise or sunset. Even down at Tsiigehtchic where I was saying, there was a brief period when you could see a little bit of the sun on the high ground. Things appear to be well lit, but the light readings are low. Your eyes adjust, but my Canon Rebel was dropping the shutter speed to 1/15 to 1/30 to get enough light, so I just used my phone for pictures aftewards. The following is a link to Unisys Weather Sea Surface Temperature and Anomaly data. This is very helpful when looking at the Arctic Sea Ice Extent plots. Over the last several months there has been a large area of the Chukchi sea that had not frozen over (it is now beginning to freeze over. It is the green area to the left). The reason it had not frozen over was due unusually high sea surface temperatures in that area. 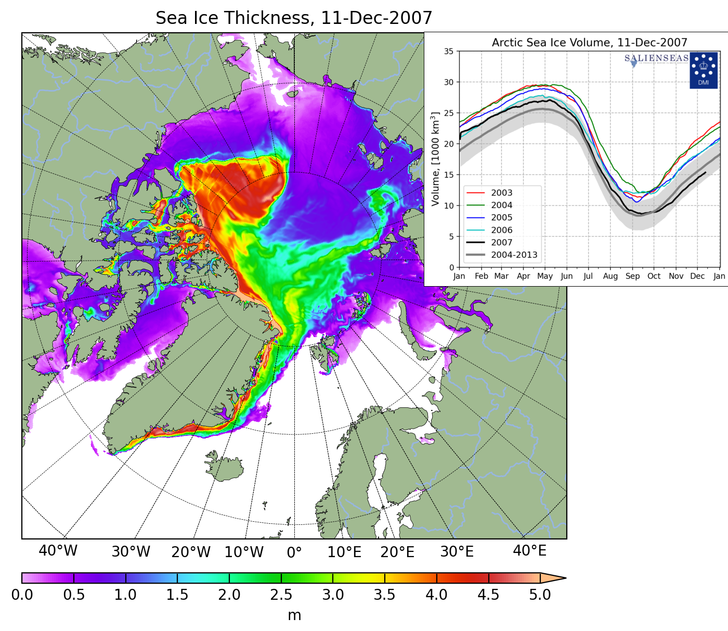 As the heat dissipated from the area the sea ice began to form. The sea surface temperature plots also clearly show the La Nina up welling (cool sea surface temperature anomalies ) and the warm water piling up in the eastern Pacific warm pool. 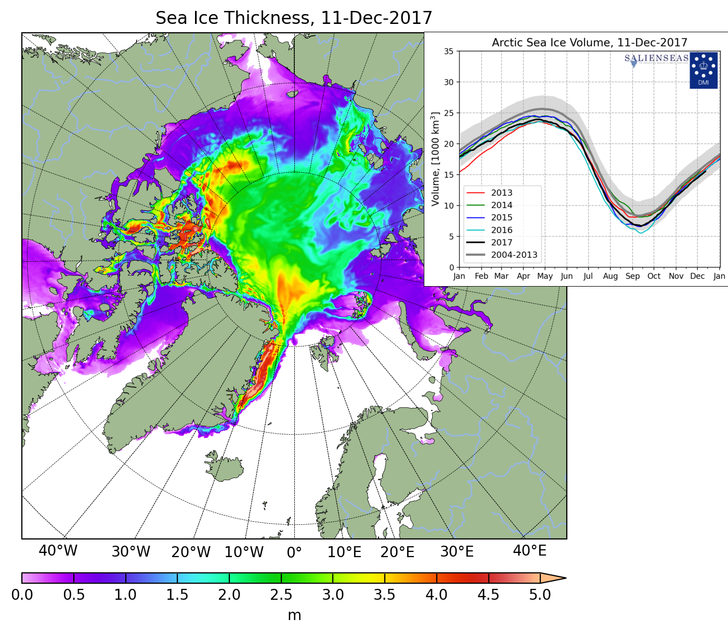 Also the daily images are archived so you can go back in time and look at the sea surface temperatures in relation to the Arctic sea ice extent. Correction. Western Pacific warm pool. Conclusion: Climate hotheads live on a different planet.